The NFL season ended less than two weeks ago, but teams already are beginning to make moves in advance of the new league year, and with the NFL combine sprouting up in Indianapolis next week, vacations are already over for many. In addition to the upcoming scouting bonanza, front offices are figuring out their free-agent plans and identifying which players they'll want to retain from their own rosters heading into the new league year on March 9. A good offseason, naturally, starts with a good beginning. That's where we come in. Teams such as the Broncos and Panthers probably don't need our help, but that has never stopped us before. Over the next few days, we'll run division by division and detail the five moves each NFL franchise should make to kick off their offseason in the right fashion. That can include anything from cutting a longtime contributor to making a big splash in free agency -- or, in some cases, staying out of the pool altogether. Some teams should be more active than others, so there are a few teams whose five moves extend all the way to draft day at the end of April. Other teams need to be more aggressive by the time the first day of free agency wraps up. Note that these moves aren't always in chronological order, even if they are the first five pressing decisions I've picked out. Finally, the advice is contained within its own world; multiple teams might be ideally interested in going after the same player, or a situation that might make sense for one organization wouldn't for the other. It's 32 teams, 32 universes. Here goes. 1. Lock up Tyrann Mathieu. It's a good sign of how healthy things are in Arizona when the Cardinals' most important offseason move is locking up a safety who has a torn ACL. Mathieu might not be his usual self until 2017, given how it took him nearly two years to get back to the form he showed as a rookie in 2013, but he was one of the best defensive players at any position in football last season. The Cardinals might get a discount on Mathieu's long-term value because of the injury, but they're still probably going to be on the hook for more than $10 million a season to lock up the wildly popular former LSU star. 2. Find pass-rushing help. This comes up every year for the Cardinals, and every year, they manage to get by with somebody unexpected. Three years ago, it was John Abraham. Then it was Alex Okafor. Last year, of all people, it was the return of Dwight Freeney. The Cardinals probably will sign Jevon Kearse or Bryce Paup or somebody, and manage to coax a 10-sack season out of them. They can't afford to go after somebody like Olivier Vernon, but they'll take a flier on a LaMarr Woodley-type and hope that they come away with better results this time around. 3. Re-sign Rashad Johnson. Nobody uses their defensive backs more than the Cardinals, and while they've already re-signed veteran Chris Clemons, they also should bring back the 30-year-old Johnson, who played 72.2 percent of the snaps for Arizona last season. They don't have a like-for-like replacement for Johnson on the roster unless the Cards have faith that they'll be the ones to turn aroundD.J. Swearinger. And hey, given that they revitalized Freeney and Chris Johnson last year, stranger things have happened. 4. Add veteran help at cornerback. Jerraud Powers is a free agent, and special-teams dynamo Justin Bethel was exposed in coverage after the injury to Mathieu forced him into a more regular role on defense. The Cards enjoyed their one-year dalliance with Antonio Cromartie, and if the Jets cut Cro, it wouldn't be a surprise to see him return to Arizona. 5. Get a long-term solution at center. The pivot was such a problem for the Cardinals in training camp that they re-signed Lyle Sendlein, whom the organization appeared to be moving on from after the 2014 season. They could go after Sendlein again, but the Cards would be better off investing in a long-term option.It would be tough for the Cardinals to spend heavily on another interior lineman after using a high pick on Jonathan Cooper and spending big money on Mike Iupati, which might rule them out if Alex Mack hits the market, but they could look at somebody like Stefen Wisniewski of the Jaguars or Ryan Wendell of the Patriots. 1. Cut Jared Cook. An athletic marvel from the Titans who was supposed to be Sam Bradford's seam-splitting field-stretcher, Cook put up pedestrian numbers during his time in St. Louis. He has averaged 47 catches, 595 yards, and three scores a year during his time in Missouri, including a 39-catch, zero-touchdown season last year. The Rams would save $5.7 million by dumping Cook's $8.3 million cap hit off the payroll. 2. Restructure Chris Long's deal as part of an extension. The team's highest-paid player has struggled through a nightmarish two-year run. After making it through six full seasons to start his career, Long sat out 10 games in 2014 and four more last season. He started only five times while recording a mere three sacks. Long's talent is still there, so the Rams might not want to get rid of him for free. They may decide to give him a contract extension that spreads the financial burden of his $14.3 million cap hit over the next several seasons to clear out cap space. 3. Sign theiryoung defensive core. The Rams thankfully have three more cost-controlled seasons from Aaron Donald to come, but they'll have to lock up the interior of their defense before getting to Donald. Michael Brockers and T.J. McDonald are both entering the final year of their respective rookie deals, andAlec Ogletree is in the fourth year of a contract that probably will give way to a fifth-year option season. That's a lot of young talent to pay, especially given that the Rams already are shelling out big bucks to Long, Robert Quinnand James Laurinaitis. The Rams also will have to decide about the fifth-year option for wideout Tavon Austin, who hasn't lived up to expectations since entering the league, albeit in part because of the players and system surrounding the former West Virginia star. 4. Add veteran help at cornerback. That list of young talents doesn't include starting corners Janoris Jenkins and Trumaine Johnson, both of whom appear likely to leave the organization this offseason. If the Rams don't re-sign either player, cornerback looks like a thin position, given that they would be down to Lamarcus Joyner and E.J. Gaines, who suffered a Lisfranc fracture last season. You can make a case that the Rams should spend less at cornerback than most teams by virtue of their dominant pass rush, but they still need bodies at corner. With Joyner in the slot, the Rams could use at least one veteran to suit up outside from free agency. Given the youth elsewhere in the secondary, they might want to opt for the security of a veteran such asTerence Newman on a one-year deal. 5. Sign Robert Griffin. If there's a place that they might want to look for a high-upside option, though, it's at quarterback. The Rams have gone with high-floor, low-ceiling options in years past and found that the floor was lower than they expected. There's little guarantee RG III would work out, of course, but there's something compelling about the idea of the Rams succeeding with the quarterback they essentially traded away to Washington before the 2012 draft. And there's nobody on the market who has ever played any better than Griffin did during his season in the sun. It probably wouldn't work, but it would sure be interesting. 1. Rebuild the offensive line by signing Brandon Brooks. If Chip Kelly learned anything from last year's disastrous season in Philadelphia, it's probably to invest in offensive linemen. Kelly's best year in Philadelphia was his first, and while his offensive concepts were newer, it was also the year where he had the league's best -- and healthiest -- offensive line. His Philly team took over that title from the 49ers, whose line has faded toward mediocrity after retirements and disappointing play. Kelly and general managerTrent Baalke need to rebuild that line. They can start by adding the 6-foot-5, 335-pound Brooks, a monstrous athlete who has enjoyed plenty of success blocking in a variety of schemes for the Texans over the past few seasons. He'd be a natural replacement for Alex Boone, who is likely to depart as a free agent. 2. Don't take Riley Cooper's calls. The 49ers need a wideout, especially if Anquan Boldin leaves. Just not that one. 3. Maintain the status quo with Colin Kaepernick. While Kaepernick's camp might very well have leaked a story that the 49ers starter wants to be traded out of town, the match of Kelly and Kaepernick might be best for both parties. That wouldn't be unprecedented in San Francisco. Alex Smith was sure he was about to leave town before and after Jim Harbaugh arrived in San Francisco, with rumors that the team would use their first-round pick on Blaine Gabbert. They didn't, and Smith had a career year before eventually losing his job because of injury. It doesn't do anybody any favors to make a quarterback change right now. 4. Add veteran help at cornerback. What do you know? Another team badly needing some help at corner. The 49ers have been burned by years of departures at corner, and after Shareece Wright failed to catch on last year, San Francisco spent the season with 2014 sixth-rounder Kenneth Acker in the starting lineup. Acker showed some promise, but both he and Tramaine Brock could use some assistance. With nearly $54 million in cap space, though, the 49ers can afford to shop at the top of the market in a way the Cardinals and Rams cannot. They should be in the running for Prince Amukamara or Sean Smith. 5. Cut Erik Pears. They can create a little bit of space by dumping Pears, who didn't exhibit much in Buffalo or during his first season in San Francisco. The 49ers would save $2.1 million by getting rid of the utility lineman. 1. Bring in veteran defensive linemen. The Seahawks rotate a player or two in on the interior every year --Kevin Williams and Ahtyba Rubin have played this role in years past -- but the need is even more pressing this year, given that Brandon Mebane is an unrestricted free agent and likely to leave for greener pastures. GM John Schneider has established the position as a low-cost center for the Seahawks, so it's more likely that Seattle takes fliers on players such asTyrunn Walker or Pat Sims than it is to go for Haloti Ngata at the top of the market. Then again, who could have seen them targeting Jimmy Graham last offseason? 2. Let Bruce Irvin leave. The Seahawks were hoping that Irvin would turn into their Aldon Smith when they grabbed him with the 15th pick of the 2011 draft, but Irvin never really developed into a great pass-rusher, finishing with 22 sacks over four years. The team declined Irvin's fifth-year option last offseason, and it seems likely that the former West Virginia star will move on this offseason, perhaps to join ex-Seahawks defensive coordinator Dan Quinn in Atlanta. 3. Re-sign Jermaine Kearse at the right price. While Doug Baldwin drew much of the attention for his remarkable streak of touchdown catches, Kearse quietly had an effective season as Seattle's second wideout. He caught 72 percent of the passes thrown in his direction, up significantly from his 55 percent catch rate in 2014. Kearse suggested that he wouldn't give the Seahawks a hometown discount as he hit free agency, but both sides get more out of this relationship than they would with another receiver or another team. At the right price -- $4 million or so -- it would make sense to bring back Kearse, especially given the uncertainty surrounding Graham after his torn patellar tendon. 4. Retain Jeremy Lane. The 2015 seasonwas basically a lost year for Lane, who spent most of the year recuperating after breaking his wrist and tearing his ACL during a first-half interception return against the Patriots in the Super Bowl. Lane was uneven when he came back, but he showed flashes of above-average work amid what is routinely the league's best secondary. The Seahawks have had far more success developing their own young talent than relying on veteran free agents (see: Williams, Cary), and cornerbacks who have left the Pete Carroll cocoon haven't necessarily enjoyed their time elsewhere. Again, it might behoove both sides to reunite here. 5. Add options to the offensive line. Tom Cable doesn't operate much like any other offensive line coach in football, which is why the Seahawks seem to bring in players who typically suit up at other positions and turn them into offensive linemen. With Russell Okung and J.R. Sweezy free agents, the Seahawks probably will need to add another body or two for 2016. Fourth-rounders Mark Glowinski and Terry Poole will be in the mix, but the Seahawks could use a veteran to fill out their group. If the Jets cut former Seahawks tackle Breno Giacomini, you could see him returning to the Pacific Northwest. 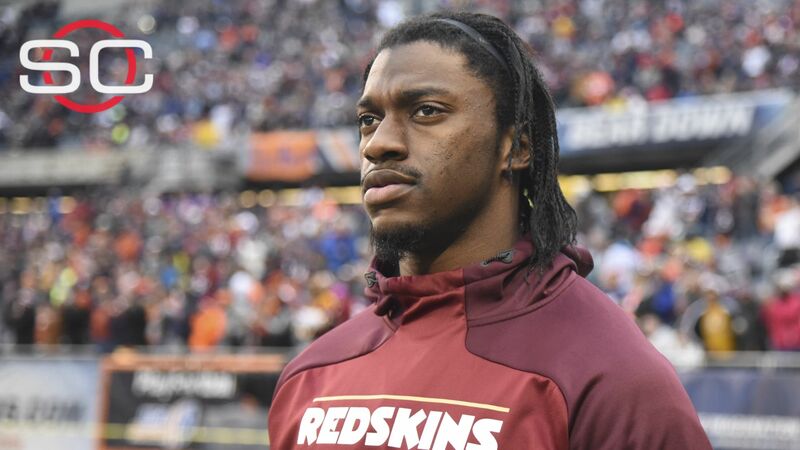 ESPN NFL Insider Adam Caplan discusses whether Los Angeles makes sense to be the next NFL home for Robert Griffin III.